The Newest Reports Regarding Follixin And Hair Growth. Staying informed and learning as much information about hair loss as you can from trusted sources is a great way to take ownership of your life. Losing your hair does not have to be irreversible and many news sources are now reporting the tremendous advances that science is making every day. 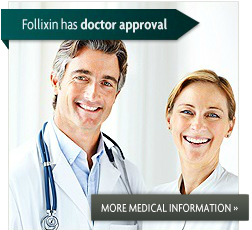 Follixin is the first step to winning the battle and regaining your hair. In one of the first truly thorough clinical trials of a scientific product specifically designed to assist men seeking to overcome hair loss, the data returned by more than eight hundred participants had proved to be very promising indeed. 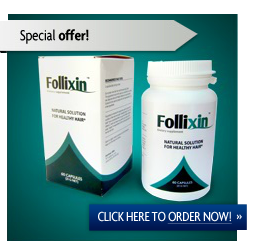 Follixin is a once per day dietary supplement that has caused cessation of hair loss and visible hair growth in 94% of the men who participated in the first and second round of research study. Of the men who reported hair growth, 79% stated that they noticed hair growth 'equal to or greater than their goals' within the eight week trial period. The remaining 15% who reported gaining higher during the study expressed the results as 'significant' or 'exceeding expectations.' 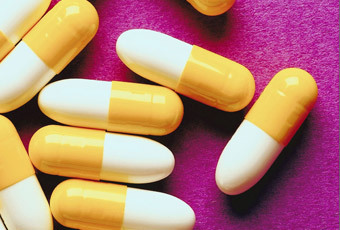 While a small number of men did not report significant gains during the short trial period, there were zero reported side effects of any kind and the men studied as part of the clinical trial unanimously agreed to continue use of Follixin after the study ended. The men involved in the study represented a scientific cross section of ethnic, regional, age and socio-economic demographics. Data was collected in a double-blind manner with a proper control group and study group monitored daily for the test period of eight weeks. The results and hard data accumulated during the study have already lead researchers to fine-tune Follixin with a significant amount of optimism that it will eventually allow all men (and potentially women as well) to overcome hair loss regardless of the proximate cause of the decrease in follicle productivity. The average male scalp contains more than 100,000 individual hair follicles at the time of birth. Contrary to popular belief, men do not grow additional hair follicles at any time during their lives. Every follicle that a man will have access to is present before they reach the age of three days old. For that reason, the preservation and continued maintenance of healthy hair follicles is essential for any man seeking to have a full head of hair during the length of their lifespan. Astringent 'hair care products', air pollution and other factors can clog or dilapidate hair follicles quickly. Physical injuries including burns or lacerations can also reduce the number of fertile hair follicles as well. Researchers have enumerated several methods of preserving hair follicles including the avoidance of excessive exposure to ultraviolet sunlight, protection from chemicals like chlorine founds in most swimming pools, careful study and determination as to which hair gels, sprays, shampoos and conditioners are used on a daily basis and of course proper nutritional dietary decisions as well. Interestingly, the newest report also includes discussion of dietary supplements utilized for the specific purpose of preserving hair follicles. Of note, the popular clinically studied hair regrowth supplement Follixin was named as a leading supplement with a proven record of generating hair growth and protecting hair follicles without any noted side effects. While other noteworthy products were also given a fair amount of analysis in the report, only Follixin was named as a 'recommended supplement' by the research committee. Follixin is a trade marked brand name and the mark extends intellectual property protecting to the logo, packaging and marketing materials of the product as well. The unique nature of the product and associated branding allows the company to establish its rights of singular use for the purpose of defending its reputation in the open market. We are glad that the trademarking process is complete said Lawrence Howell. With the number of bogus knockoffs and false claims made by other companies, it is absolutely essential that we be able to protect the sanctity of the Follixin brand. When a customer sees our name or logo on the package they can be sure that the product they are using is 100% genuine and authentic. 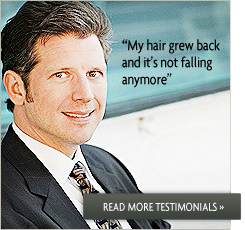 Do not accept 'substitutes' or 'generics' that do not have a proven history of success treating hair loss. Follixin is the only name you can trust when it comes to treating your hair loss, because we have the research data to back up every claim we make about our product. A recent study by university scholars in Arizona has produced surprising information about the trend toward hair loss which many industrialized nations are now experiencing. Data from the study lists several potential causes with detailed analysis of the primary possibilities. Air pollution, increased stress levels, poor nutrition from processed foods and advanced median population aging. The study also delineates several serious emotional challenges and personality disorders that have become commonly associated with premature or rapid hair loss. The majority oft the report focuses on the negative impact that hair loss can have on the social life and occupational prospects of a male in an industrialized society. While the loss of hair does not by itself indicate any more serious medical problems, reserach has conclusively shown that it is a primary cause for being passed over when a promotion is considered, can be one of the reasons a romantic relationship lasts a far shorter than average period of time and most significantly the study has shown that men who suffer from hair loss are three times more likely to also suffer from illnesses or lifestyle challenges associated with acute stress and low self-esteem.